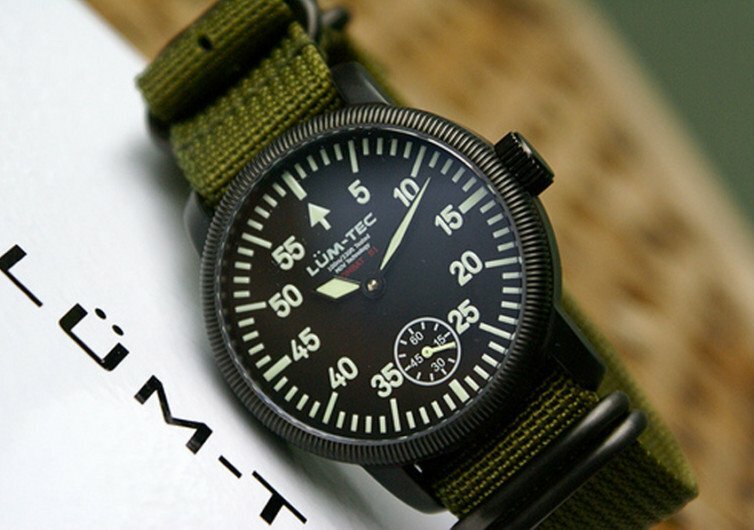 Gentlemen who prefer a more rugged, manlier look for a timepiece that is more reminiscent of a time when American GIs were serving on all fronts of the globe, the LUM-TEC DSPTCH Special Edition Combat B25 wristwatch is a great choice. 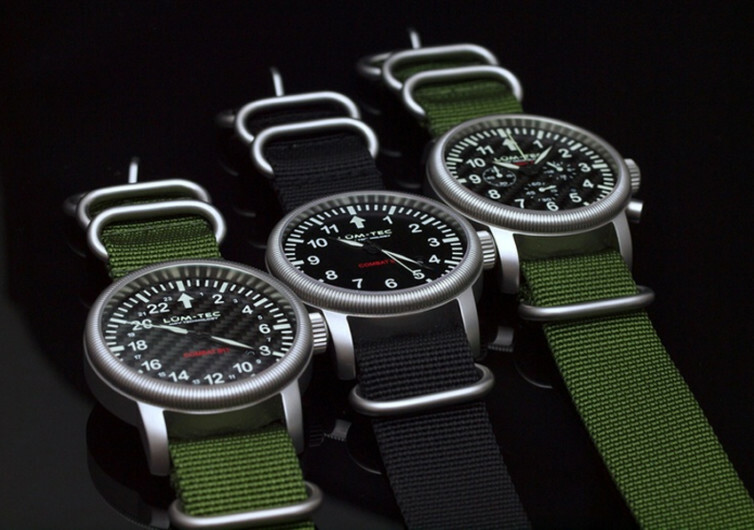 With its rustic looks made even tougher looking by its choice of strap, the DSPTCH is a venerable timepiece that bespeaks of one’s inherent desire for something more durable and, so to speak, ‘timeless’. The olive and grey detailing amidst a sea of matte black dial gives the DSPTCH a certain charm that shouts of its battle-hardiness. 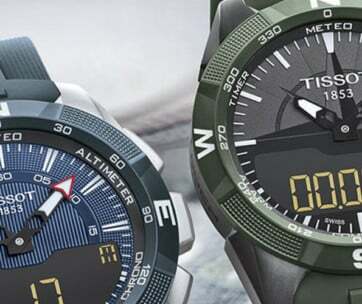 Two premium quality nylon straps secure the 43-millimeter timepiece that is made exceptionally strong by the use of 316L stainless steel that is mated to a PVD hard coating constructed of sand-blasted premium titanium carbide. It’s the kind of construction that will never fail you regardless of how tough the going can get. The sapphire crystal, as always, gives the DSPTCH an elegance that no acrylic can ever replicate especially when one considers the thoughtful antireflective coating put into the design. 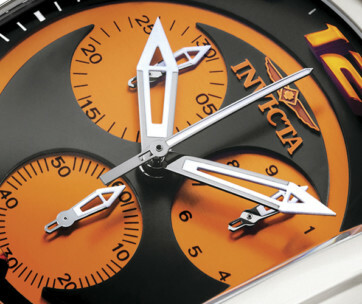 The chronograph is run by the Miyota OS20J movement. It may not be the full automatic mechanical watch that premium timepieces carry, but one should be thankful that you’d get free battery replacement for life. 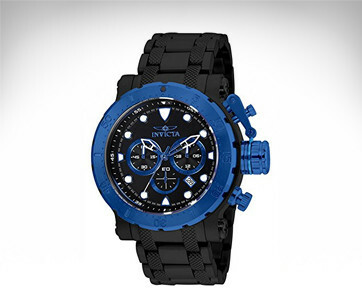 The DSPTCH is fully waterproof up to 656 feet, thanks to a number of watertight seals built into the timepiece such as a double diamond sealing system and a Viton gasket that gives it remarkable security against the forces of nature. 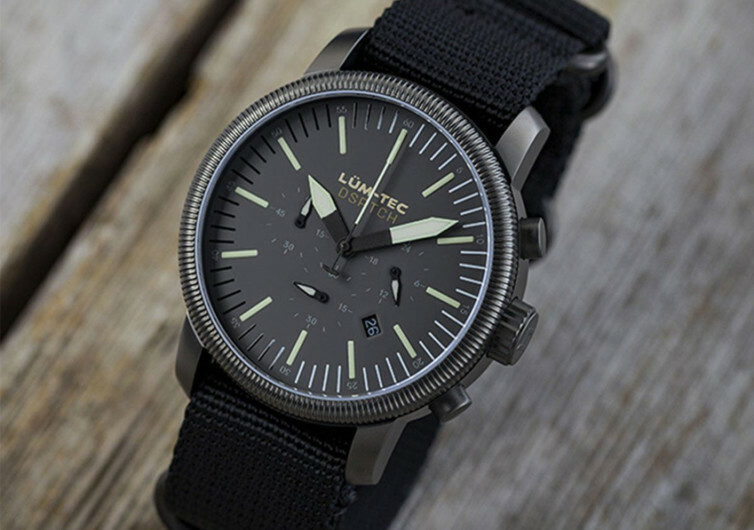 Never backing down from any engagement, friendly or otherwise, the LUM-TEC DSPTCH is the kind of wristwatch you wear when you want to project an air of battle-tested precision and elegance amidst adversity. Be quick though as the DSPTCH only comes in a limited number of 50.